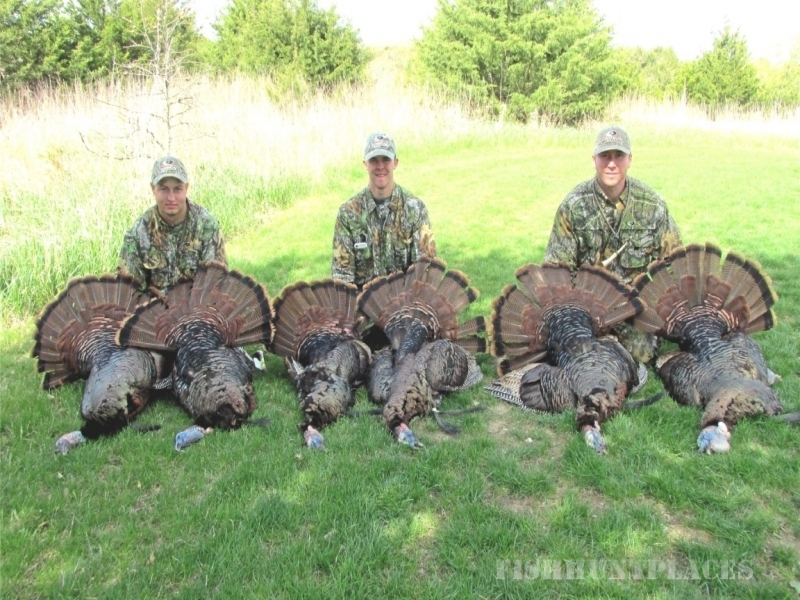 The Northest Missouri Hunting Company has over 8000 acres of private land in Putnam, Scotland, Schuyler, Sullivan and Adair Counties. 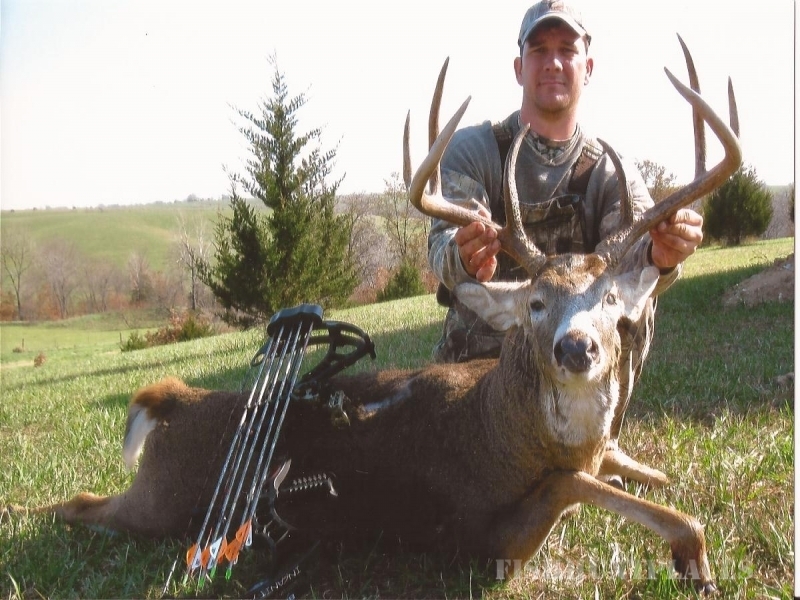 We offer trophy-quality rifle, bow, and black powder hunting for whitetail deer (we have an 8 point restriction on all deer) in the fall and turkey in the spring, as well as small game and predators. 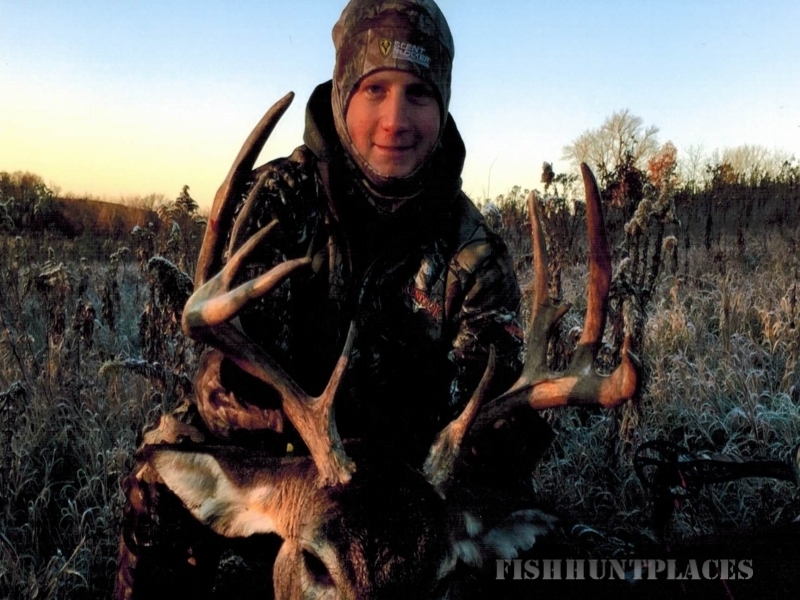 We are experienced in the hunting and outfitting business. 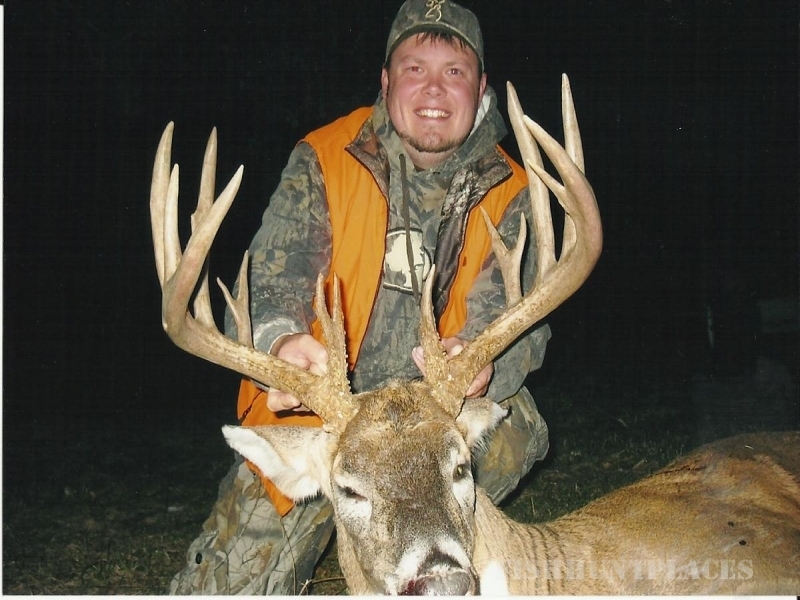 All of our hunts are self-guided. We provide you with an aerial map of the land where you will hunt and we show you the property lines and where our stands are located. We do suggest that you bring extra stands. You will drive yourself to and from your hunting area and provide your own meals. We ask that our hunters do not use screw-in steps or trail marking ribbon. Hunters may use clip-on trail markers but must remove all clip-on materials before leaving the area. Our land consists of hardwood timber patches with river and creek bottoms and brushy thickets that provide plenty of natural protein for our deer. We also have bean, corn and hay fields and C.R.P (Conservation Reserve Program) fields that serve as supplement food plots to ensure the trophies our hunters seek. 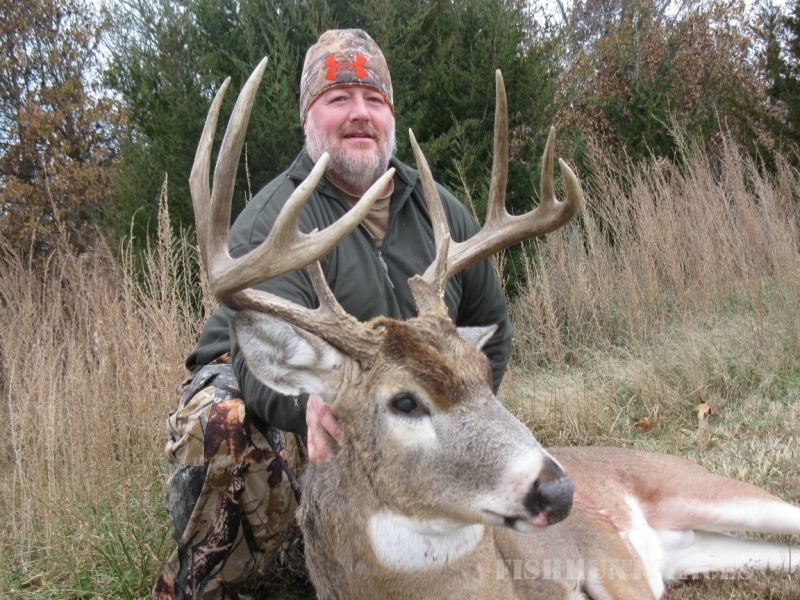 Unlike many of the surrounding states, you do not have to rely upon drawings to hunt in Missouri. You can buy all your deer and turkey tags OVER THE COUNTER! Get ready to plan your next hunting adventure with us!